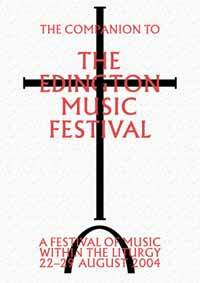 Welcome to the 49th Edington Festival of Music within the Liturgy. As many of you will know, this is my first year as director, although I have been participating in the festival since 1987, when I started as a treble. Having grown up with the festival, it is a real privilege to be taking on the role and to follow in the footsteps of my illustrious predecessors. I must, in particular, take this opportunity to thank Peter Barley for his expert leadership of the festival since 1998. Peter’s immense knowledge of music, liturgy and literature produced inspired and inspiring themes and he will be a hard act to follow. The theme for this year’s festival is the Rule of St Benedict, a book of guidance for monastic living, written for the monastery at Monte Cassino in Italy . Given Edington’s monastic roots (established by the Augustinian Bonhommes) and the sense of community that exists in the festival from one year to the next, both in the musicians and the congregation, it seemed logical to explore some of the themes which underlie the monastic ideals and aspirations. In his Rule, Benedict gives guidance on a whole range of subjects, from spiritual matters right through to the practical arrangements for looking after the monastery buildings. The daily themes I have chosen are merely a selection of topics which resonate throughout the Rule, and which seemed appropriate for a liturgical festival. The week begins with the ministry of Welcome on Monday, incorporating the showing of hospitality to strangers?how appropriate as we are all once again welcomed into the homes of villagers?and the place of the Doorkeeper. On Tuesday, as we celebrate the Feast of St Bartholomew, we look at what Benedict calls the ‘Steps of Humility’: for, as David Parry OSB writes, “humility is the primary quality with which man must come into the presence of God”. On Wednesday and Thursday we explore our relationship with God, firstly in Faith & Prayerfulness, and then through the ways God endues us all with Gifts & Talents, and how we use them. The Sequence of Music and Readings on Thursday evening focuses specifically on the Gift of the Spirit and our role in Christian discipleship. One of the recurrent messages in Benedict’s Rule is the need for Obedience (and respect for authority and each other), so on Friday we look at this alongside Penitence. Thinking about Christ’s ultimate sacrifice of himself on the cross on Good Friday, we remember the lives of others in the Solemn Requiem Mass that evening. As we celebrate Augustine of Hippo on Saturday, we look at the aspirations of Zeal & Love, both at an earthly level in our daily lives, and also in our spiritual longings. Finally, to complete our festival week, we acknowledge the Divine Majesty of our Lord, as we prepare to go out into our normal lives, refreshed and reinvigorated by our week together. As usual, the music performed during the festival spans a huge spectrum of both the familiar and the less well known, with the Schola’s plainsong (so central to the monastic Offices) providing the backbone to our Opus Dei. 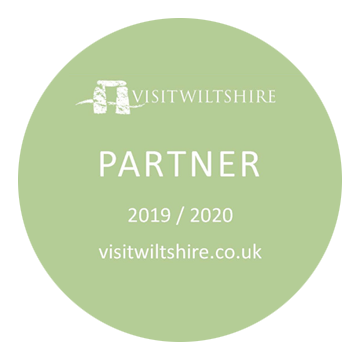 Once again this year I am delighted that, through the generous support of the Edington Music Festival Association, we have been able to commission a new work, Sancte Pater Benedicte, to tie in with the St Benedict theme. It has been composed by Elena Vorotko, a senior student at the Royal Academy of Music, and will be sung by the Consort as the Introit on the Wednesday broadcast. During the course of the week four composers will be present to hear their works sung by the Consort: Elena Vorotko, David Buckley, John Streeting and Matthew Martin. As always, though, the festival is about more than just the music, and I am particularly pleased to be able to welcome Canon Jeremy Haselock as our guest preacher at the Eucharist on Thursday. As Precentor of Norwich Cathedral, itself a Benedictine foundation, he will no doubt be able to shed particular light on the theme for the day and more generally the Rule of St Benedict. It is also a pleasure to welcome back Canon Neil Heavisides (Vicar of Edington 1988 – 1994 and now Precentor of Gloucester Cathedral) to preside at the Requiem on Friday evening. 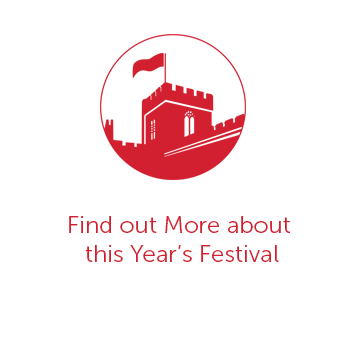 There are many people that I need to thank for their invaluable advice and assistance throughout the year in bringing the festival to fruition, especially Peter Roberts and Rebecca Minogue our administrators, the choir directors Paul Brough, Andrew Carwood and Jeremy Summerly, and organists Matthew Martin and Chris Totney. Many important roles go on behind the scenes so I would like to record here my thanks to everyone in this capacity, including Nick Flower, John Barnard, Christine Laslett, Joanna Robertson, Nicholas Buckman, John d’Arcy and Jeremy Moore, and also the Vicar of Edington, the Reverend Dr Graham Southgate. As ever, we owe a huge debt of thanks to the Church community and all the villagers of Edington and the surrounding area, without whose help and warm welcome none of this would be possible.